This year marks the Tax Foundation’s 75th anniversary, and we’re celebrating with a series of events throughout the year, capped in November by our annual dinner and gala. 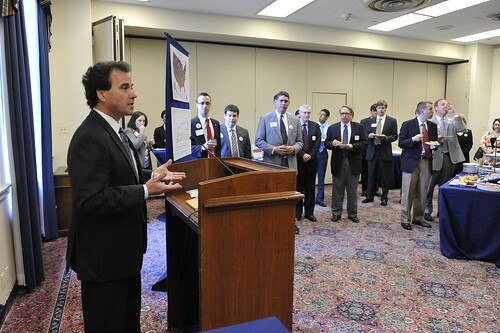 This week, however, we were happy to welcome guests to a reception in the Rayburn House Office Building on Tuesday, April 17th, which marked both federal tax filing day and Tax Freedom Day 2012. 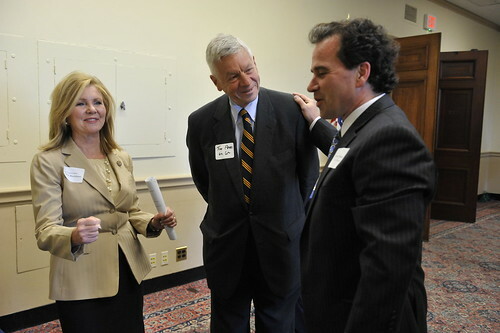 Rep. Marsha Blackburn of Tennessee and Rep. Tom Petri of Wisconsin talk with Tax Foundation President Scott Hodge. Scott Hodge delivers remarks on the 75-year history of the Tax Foundation. 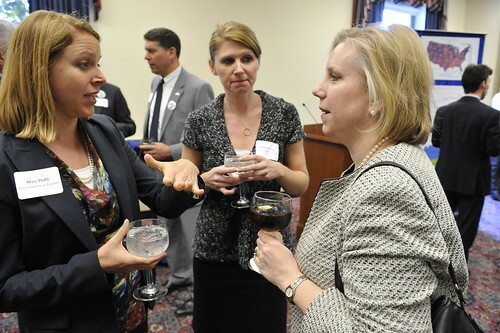 Guests mingle at the Tax Foundation’s 75th anniversary reception. Thanks to everyone who joined us on Tuesday evening! More photos are available on Facebook.